Certified Pilates and Xtend instructor Bambi Watt is the owner of Willow Pilates Studio, Nashville’s premier Pilates studio for 17 years running. After the birth of her first child in 1995, Watt hired a personal trainer to help her get back in shape. By 1996 she had become an ACE and AFAA certified personal trainer herself. In 1997, she started Pilates and studied with Master Teacher Romana Kryzanowska. In 2010, After witnessing Xtend Barre's amazing workout and its immediate results, Bambi became a certified Xtend instructor and introduced Xtend to Willow Pilates Studio. The non-impact environment of Pilates and its personalized care of injuries reshaped as well as healed Amy’s body, and in 2001 she was certified by the Pilates Studio of New York under Romana Kryzanowska. To enhance the benefits of Pilates, Amy uses Muscle Activation Techniques TM, a system that corrects muscular imbalances. She is the co-creator of the FaceTonics facial strengthening regimen and co-editor of the anthology Voices of Classical Pilates. Paige Bainbridge, a native of Nashville, has a life-long interest in dance, choreography, music and songwriting. Paige discovered Pilates after the birth of her first child in 1998. She immediately became “addicted” to Pilates to help her get back in shape after childbirth, especially because it seemed to integrate and compliment many dance principles. Paige became certified in Pilates through the Pilates Studio of Atlanta in 2001. Paige has clients of all ages, from 16 to 80. And, with her Xtend classes, Paige can incorporate her dance, Pilates, music, and fitness backgrounds into a workout that accommodates all ages and sizes. Sylvia Gamonet, a former professional ballet dancer, holds a BFA in dance from the School of the Arts in Buenos Aires, Argentina. A member of the Nashville Ballet Faculty for 8 years, she holds a fitness trainer certification from the American College of Sports Medicine. Sylvia received her Pilates training from master teacher Romana Kryzanowska in the traditional method in 1995. She also is the only certified Gyrotonic Teacher in Nashville, TN. Ms Gamonet became a Power Pilates Teacher Trainer in 2006. Sylvia became a certified instructor in Xtend Barre and loved it so much that she has also become a certified Xtend teacher trainer. Susie made her way south from Michigan in 1997. Being a fitness instructor; aerobics, step, sculpting, and yoga, she discovered Pilates along the way. Susie was hooked on Pilates when she realized that it could create long lean muscles, promote healing from old injuries and shape her body. She was Power Pilates certified in 2005 under Sylvia Gamonet. For Susie, the greatest thing about Pilates is seeing results in her clients who have had injuries transform themselves into healthy individuals. And now, with Xtend Barre, her clients can add a full body workout that helps them continue to achieve that long, lean, strong body. Kelly Rogers has been teaching Pilates in the middle Tennessee area since 2006. Power Pilates Certified, Kelly has experience working with all sorts of fitness levels and injuries. Kelly is also a talented singer, dancer, and actress with a minor in dance from Belmont University and collegiate training in classical, musical theatre, and commercial vocal performance. Kelly also teaches Xtend Barre, TRX, Zumba, Cardio Dance, and Personal Fitness sessions where she uses her in-depth Pilates training to help clients improve their performance and gain results. Kate, a former professional dancer with Nashville Ballet, hails from Pennsylvania where she was raised by musicians. She first began to incorporate Pilates into her dance practice in 1999 as she joined the Nashville Ballet after earning her BA in Dance at Point Park University. She became a certified Power Pilates Mat instructor in 2011 and completed the Power Pilates Comprehensive Program in 2012 at Willow. 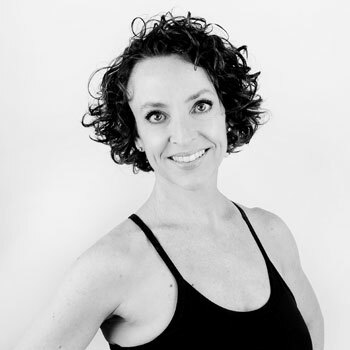 In addition to teaching Pilates, Kate is currently on the Dance faculties at Middle Tennessee State University and Franklin School of Performing Arts, where she teaches Ballet, Pointe, and repertory. Having fallen in love with dance at a very young age, Lisa has always felt at her best when moving. Pilates was a natural step to a deeper understanding of pain-free, efficient movement for all of life's challenges. She started her Pilates study in 1996, earned the mat certification in 2007, and passed the full system standards with Power Pilates in September of 2012. 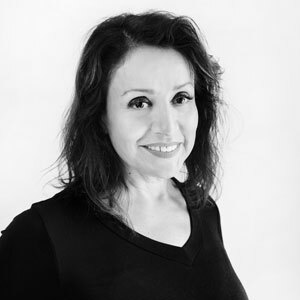 As well as enjoying every minute working with her Pilates clients, Lisa continues to keep her ties with the dance world as the Artistic Director of Epiphany Dance*Partners. 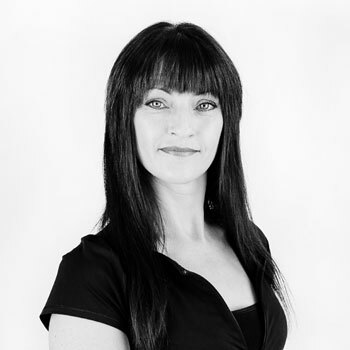 Originating from the UK, Jo has a Bachelor of Performing Arts Degree from the Northern School of Contemporary Dance. Following came an extensive professional dance career both in London and worldwide, where she was introduced the many benefits of Pilates. After moving to the US, Jo became a Certified Power pilates Instructor in 2012 and trained in Florida with Aaron Mattes in Active Isolated stretching. She is an Ace certified Personal trainer and completed her 200hr Vinyasa yoga teacher training in 2016. Originally from Rio de Janeiro, Brazil. Miriam starting dancing and acting as a child and her love for dance made her pursue it as a career. She graduated from Centro de Danca Rio and was part of their Jazz Dance Company. In Brazil she worked as a dancer on a variety of TV Shows. While studying Communications, she decided to audition for Feld Entertainment, as an opportunity to do what she loved while immersing herself in a different culture and work on improving her English language skills. After working for Feld her and husband moved to Nashville, where she started teaching Ballroom Dancing. All the years of dancing and traveling started to take a tool on her body, that is when she turn to Pilates in 2008 to help strength her body. In 2010 she received her first certification with Peak Pilates and completed her final level from Peak Pilates 2015. As a wife and mother of 2 little girls, she knows what means to maintain her energy level up with a strong mind and body connection. She is eager to share the benefits of Pilates with all of you. Chemist and science nerd by day, Xtender by night! Samantha found Xtend Barre a few years ago to mix up her workout routine and has never looked back. A dancer in her youth, she was drawn to the combination of graceful ballet and muscle-toning Pilates moves. Amazed by the results she's seen, she took on the extra mind-body challenge of becoming an Xtend instructor herself. Samantha brings her passion for the workout into her classes to deliver a fab, fit and booty-burning fun class to all of her beautiful barre belles! In 2011, Mindy discovered Xtend Barre and was instantly hooked! From the age of six she danced: ballet, modern, jazz and tap. Later she enjoyed weight training, boxing and group fitness classes. She was a little over 50 when she tried Xtend, and she knew she’d found the perfect combination of dance and fitness to help her stay lean and toned at this stage of her life. Mindy’s passion about her empty nest career shines in her classes! Codi Noga first became involved in Pilates while looking for an effective way to strengthen and tone. She quickly saw results in the way she looked and felt, and she was hooked! Codi is a classically trained and certified Power Pilates Instructor who is excited for the opportunity to teach both classes and Pilates private and semi-private sessions at Willow. Originally from Rio de Janeiro, Brazil, Paula started dancing at age four. Throughout her dance training she gained extensive knowledge in Ballet, Jazz, Tap, Modern, Contemporary, Flamenco, Afro dancing, and Street Jazz Heels. After a career as a professional dancer, Paula earned a Bachelors Degree in Physical Education in 2009 in Brazil. While attending university, she became Certified in Pilates, which later led her to fall in love with the full body workout that is Xtend Barre. With her knowledge of what works best for varying clients, she created the Brazilian Burn workout, a combination of fitness, dance, and her culture where clients can experience the Brazilian rhythms, get fit, and have a good time. Paula recently took her fitness to a new level, winning the NPC Music City Muscle 2015, NPC Indiana Muscle 2016, and the NPC Tennessee State Bodybuilder Championship. Originally from Charlotte, NC, Zoe moved to Nashville in 2012 to begin a career in the frenetic, demanding, lots-of-travel music industry. During the first Pilates class she ever took, a quote on the wall from Joseph Pilates took hold of her: “Physical fitness is the first requisite of happiness.” She knew right then and there that she wanted to further explore the benefits of Pilates to the mind, body, and spirit - especially for a 20-something navigating a demanding industry. Fitness has always been paramount to Zoe, as she was a dancer and competitive tennis and soccer player most of her life. Hoping to spread the magic of Pilates to more young professionals in Nashville, Zoe began her Classical Pilates Education in early 2017. She enjoys mixing up her fitness routine and adventuring outside as much as possible. Kristie has been involved in fitness since she was a teen growing up in Canada. After moving to Nashville in 2011, she decided to make fitness her career focus. She has since become certified in numerous fields such as Barre, Piloxing, Pilates and TRX to name a few. Kristie continues to add to her fitness resume and enjoys sharing her passion for fitness with everyone she meets. Stephanie is a former professional ballet dancer, who danced with the Houston Ballet Company and guest roles with the Royal Ballet Company in London, England where she she was born and raised. After an injury she moved to New York City where she began a career as a songwriter penning several top ten songs for both pop and contemporary christian artists. Fitness has always been very important to her. After taking part in, and experiencing almost every type of exercise available over the years, she finally discovered pilates. It was love at first class. She made the decision to commit to the 600 hours training to get certified, because she believes that the core strength, balance, long lean muscles and body awareness pilates creates, not only turn back the clock, but also have benefits for mood, mind and spirit. She is passionate about passing along those incredible benefits, with a particular passion for teaching those in her own over 50 age group. Haley grew up in San Luis Obispo, CA amongst your typical California health nuts! Running track throughout school, Haley soon realized that it was taking a toll on her body and she needed to explore other types of exercise. After taking her first Pilates class and feeling amazing after, she realized she wanted to help other people reap the benefits of Pilates and feel strong, flexible, and lengthened, without the injuries. In her free time you can find her playing guitar around Nashville, checking out new music venues, and spending time with her husband and doggy! Sammie, a West Virginia native and lifelong equestrian, moved to the Nashville area for her job in the polo industry. As a riding/polo instructor, she takes physical fitness seriously when teaching clients to be better riders and players. It wasn’t until she found Pilates, two years ago, that she realized she was missing out on a way to excel in her flexibility, balance, and strength. The more she became passionate about Pilates for herself, the more she wanted to transfer the knowledge to her polo clients. As a classically trained Certified Pilates instructor, she will offer her expertise to both riders and non-riders. She is also pursuing education as a Nutritional Health Coach and is an advocate of whole body wellness. Lindsay discovered Pilates when she was 12 years old, to rehabilitate her back pain after a car accident. Falling in love with Pilates, Lindsay received her Balanced Body Pilates Certification in 2014 while attending college in Boston. During this time, she also received her ACE Certification and became a personal trainer at the Northeastern University Gym. After spending a year at home in Boca Raton, FL, she fell in love with the Xtend Barre workout. It was only natural for her to get her certification in 2016, before moving to NYC for Graduate School. Lindsay's passion for fitness and the Pilates method translates into an energetic and fast pace teaching style. Her primary goal is for people to have a safe, fun, and effective workout in every one of her classes! Originally from Virginia, Vonne moved to Nashville to attend Belmont University. While studying at Belmont, Vonne started running leisurely and after graduating, started running in local races. She’s completed everything from 5Ks to Ultra Marathons, the longest being 50 miles. After developing runner’s knee, a friend told Vonne about Pilates. Once Vonne started taking classes she became devoted to the movement and the way Pilates made her feel. It also kept her injury free! Falling in love with Pilates led Vonne to become certified in mat Pilates by Power Pilates in 2015. After having her second daughter, she decided to complete her comprehensive certification in 2018 with Classical Pilates Education. Vonne is excited to share her love of movement and Pilates with the world, and is grateful for the opportunity to teach her passion.